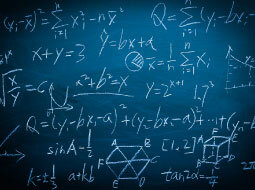 The Advanced Mathematics Upper-Secondary 2 course completes our suit of upper-secondary maths. This course covers differential equations, kinematics, vector calculus and dynamics. This course is suitable for maths students, and for anyone interested in exploring the world of mathematics. Upon completion of this course you will effectively learn the most important factors to be considered when answering questions in a maths exam. You will be aware of the most common mistakes in maths exams. You will gain a good knowledge of first and second order differential equations and second derivatives. You will learn about kinematics including acceleration, distance and velocity. You will understand Newton's laws of motion, Newton's laws of cooling, and Euler's method for solution of differential equations. This course will teach you the resolution of forces and how to calculate vectors.